I hope you had a wonderful Christmas with your family, but we’re just over two weeks away from the start of the next floor session. And the Wisconsin Firearms Coalition is hard at work getting ready to continue our all-out battle over Constitutional Carry! Just like we saw with the repealing of the 48-hour waiting period, legislation this important doesn’t become law on its own. Instead, it takes as much grassroots pressure as we can muster, to force the politicians in Madison to stand up and fight for the Second Amendment. It’s easy to pass a gun bill. What’s hard is to pass a strong bill that is not chock-full of compromises and sell outs. For example, the “Constitutional Carry” bill which passed in North Dakota is so watered down, that it’s now illegal to carry a loaded handgun in your vehicle — a step backward in their gun laws! 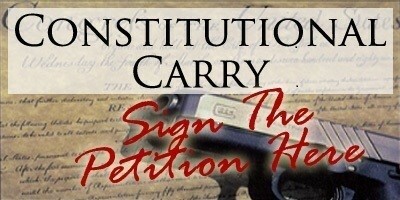 As part of that process, the Wisconsin Firearms Coalition has been busy collecting signed petitions from gun owners, demanding passage of Constitutional Carry legislation. We will be delivering these petitions to the legislature in the early part of 2018, to make sure they know exactly how important this is to their constituents. We already have thousands of signed petitions printed off and ready to go! And despite what you may read in the FAKE NEWS, Constitutional Carry will not allow felons to carry common self-defense firearms. But that doesn’t mean that the Milwaukee Journal Sentinel, the Wisconsin State Journal, and the Green Bay Press Gazette won’t do all they can to distort the truth –- just like they did when they tried to stop the repeal of the 48-hour waiting period. We’ve made tremendous progress here in Wisconsin in the past few years with the passage of Concealed Carry and the repeal of the 48-hour waiting period, but it’s time we finish the fight and pass Constitutional Carry law too. We aren’t guaranteed pro-gun legislative majorities like this forever. Once you’ve signed your petition, please also consider a contribution to help the Wisconsin Firearms Coalition lead this fight in Madison! So if you haven’t already done so, please renew your membership in the Wisconsin Firearms Coalition immediately! P.S. With the start of the 2018 legislative session just nineteen days away, the Wisconsin Firearms Coalition is getting ready for a major battle over Constitutional Carry! To ramp up the grassroots pressure and combat the FAKE NEWS here in Wisconsin who are trying to defeat this bill, please sign your grassroots petition now! Once you’re done, please make sure you renew your membership in the Wisconsin Firearms Coalition for 2018 so we have the resources we need to fight for this bill in Madison!